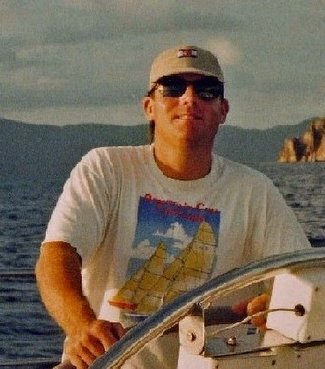 My father writes from St. Maarten where they are recovering from a difficult passage down from the east coast of the U.S. - due to the rough conditions they shipped a lot of water across the decks and below I've pasted the segment of the email where he reflects on some "lessons learned" from that experience. Next time, it will be better even given the same severe conditions. You do learn. For example, I taped our chain hawspipes with "gorilla" tape. It wasn't enough. I could go forward in the end and discovered that the forepeak locker was 4/5 full of water!! Probably 300-400 pounds worth! Just from those small openings. I need to fix our windless wiring as a result. Also, in the beginning when I used the manual pump in the locker to get rid of it, the water overflowed the sink in our berth and ultimately wetted all of our clothes! They all have gone to the laundry. We used the emergency bilge pump to clear the locker. The one Edson makes where you stand on the board and supposedly pump out a gallon in a stroke. All vents on a boat crossing bluewater should be positively closed. Dorades should be sealed at the inner port, not at the outer port, as the scuppers are an issue, as your parents found out. I have solar ventilators on my boat, and they're replaced with a stainless steel deck plate in heavy weather or seas. Also, it is usually the small openings that really screw you on a passage. We tend to remember/realize that we have to seal the large ones, but forget about the small ones, like the chain pipe and things like that... a small constant source of water is often a bigger problem than an ocassional big one is.